A group of purple abstract shapes, almost line dancing to an imagined beat. They have a nice shiny texture and make for a cool VJ loop. 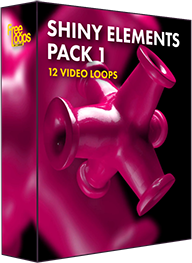 The perfect video loop for your DJ, VJ or VDJ sets, a great piece for your video moodboards.